Bearly Rustic is the perfect place to unwind! 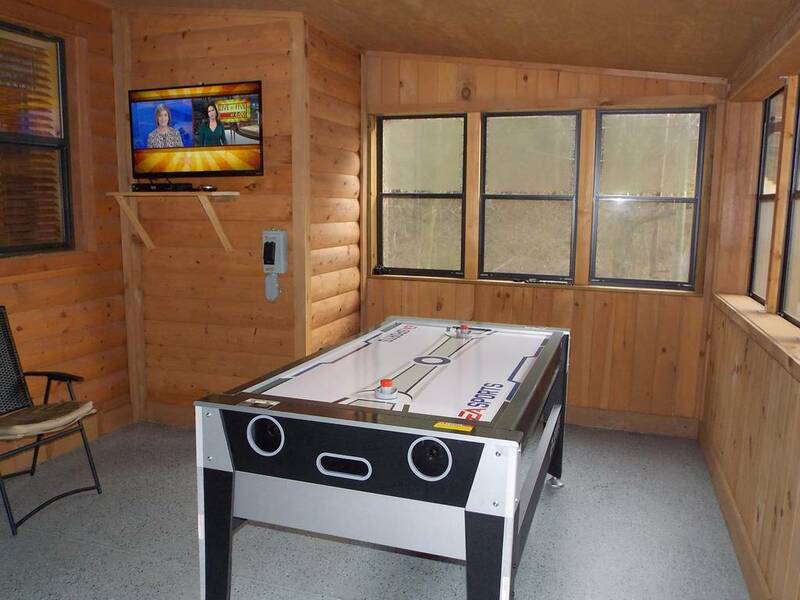 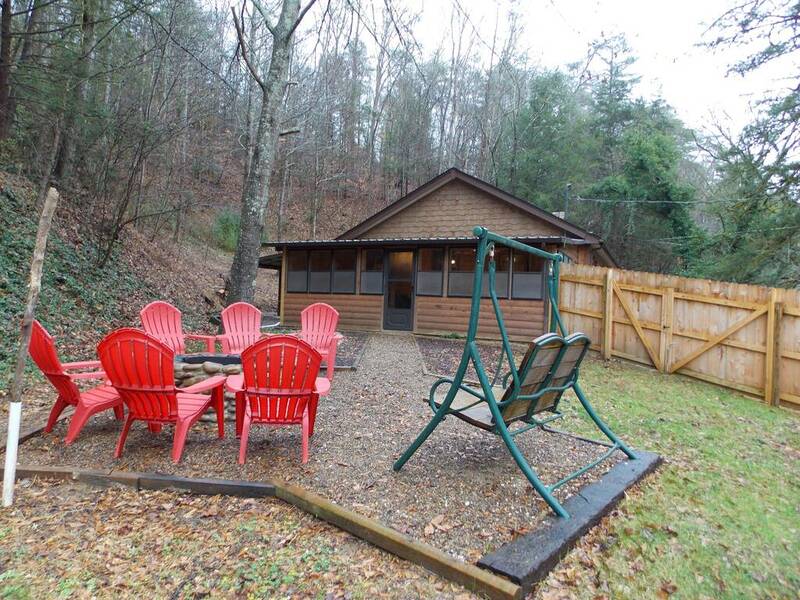 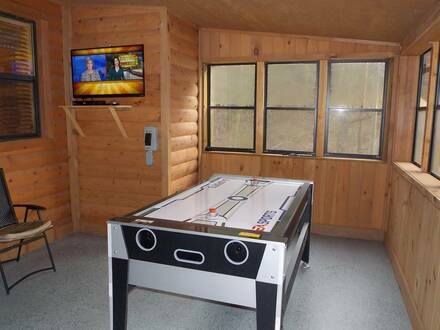 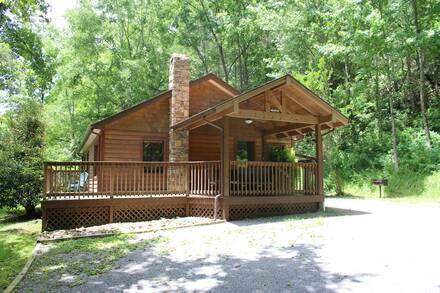 This cabin has beautiful modern furniture, fully stocked kitchen for all your needs. 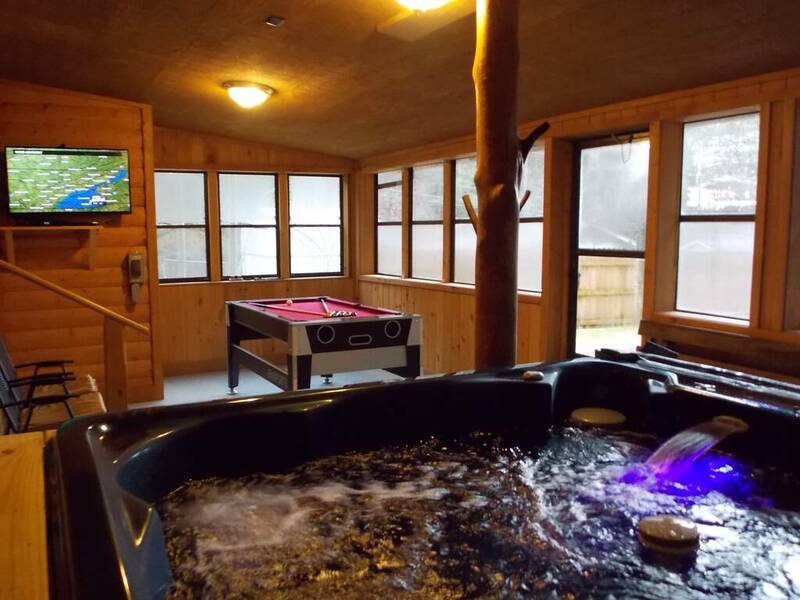 Year round, electric fireplace, big screen, hot tub for those romantic evenings, and a pool table for a little friendly competition. 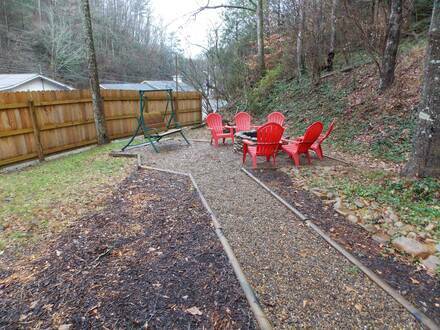 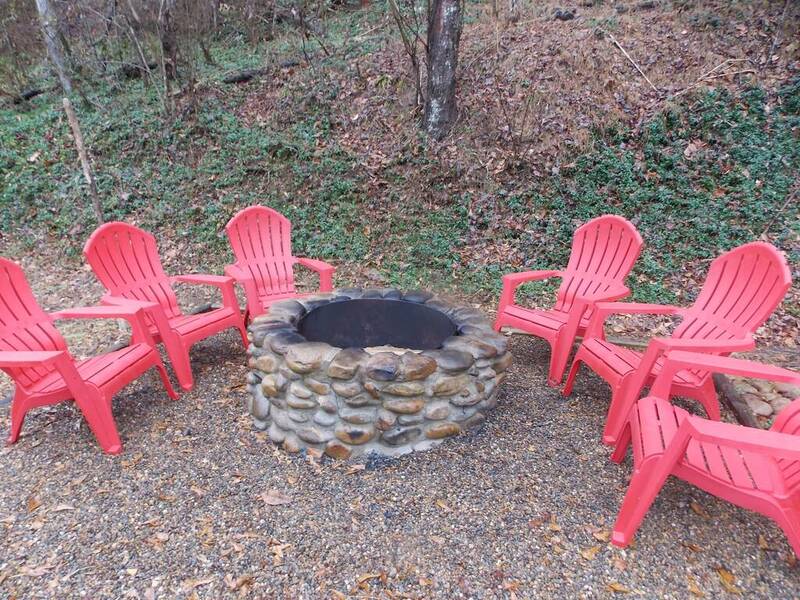 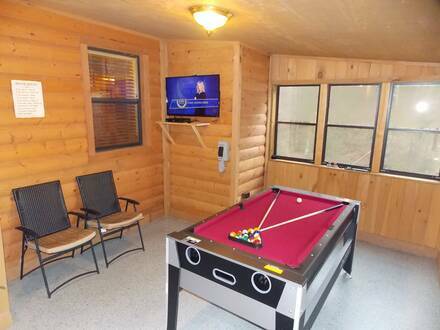 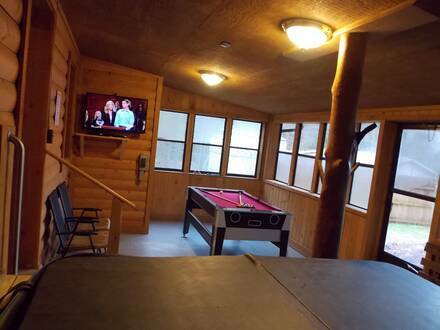 This cabin also has an outdoor fire pit, for evening of sitting around the “campfire”, and even has Wi-Fi for sharing pictures of your getaway on social media!